Responding to any request is Mari-san’ s way and it’s the reason why she is so popular. Any depressed children are changing little by litte to have smilng faces, to feel the rhythm and to start to ask her to sing his/her favorite songs. Lying on the floor watching the displayed pictures on the ceiling, chidren, fathers and mothers enjoyed the story-telling. Good to hear the sound of contrabass played simultaneously between the paragraphs. A girl was so concentrated and enjoying herself that nobody around could not realize that she had a high fever! Some fathers and mothers also joined with their son/daughter and had fun. 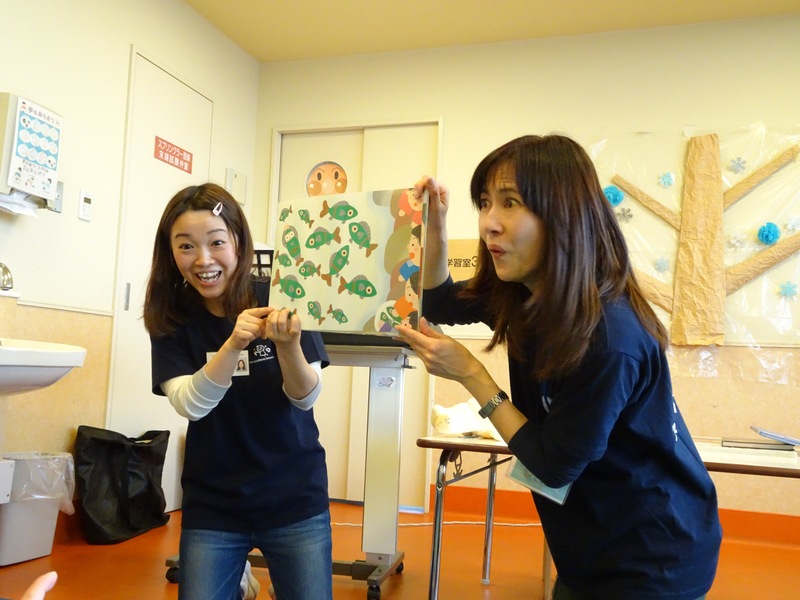 Everyone loves Mari-san’s coloring activity. This is because it’s a lot of fun and also Mari-san always answer all the request for drawing. 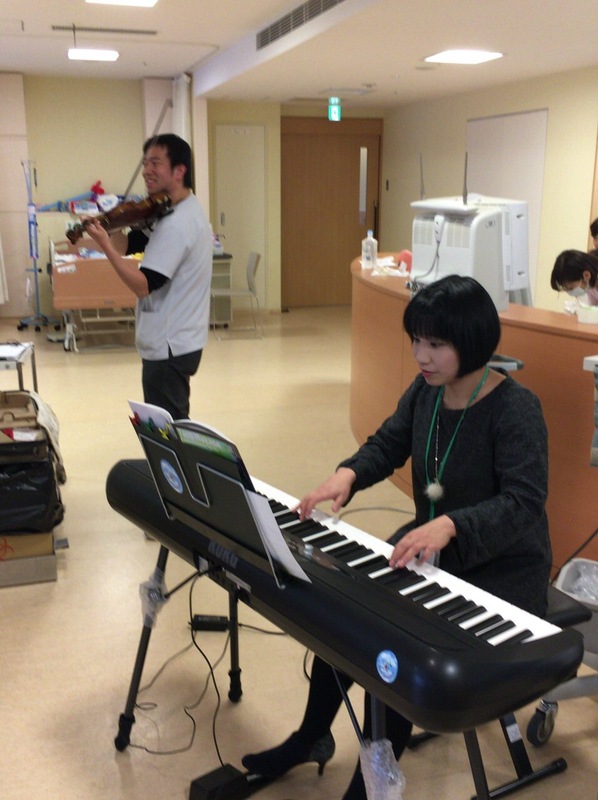 Session of the violin by a doctor and the piano by Mari-san. With no rehearsal, they performed perfectly in tune with each other! 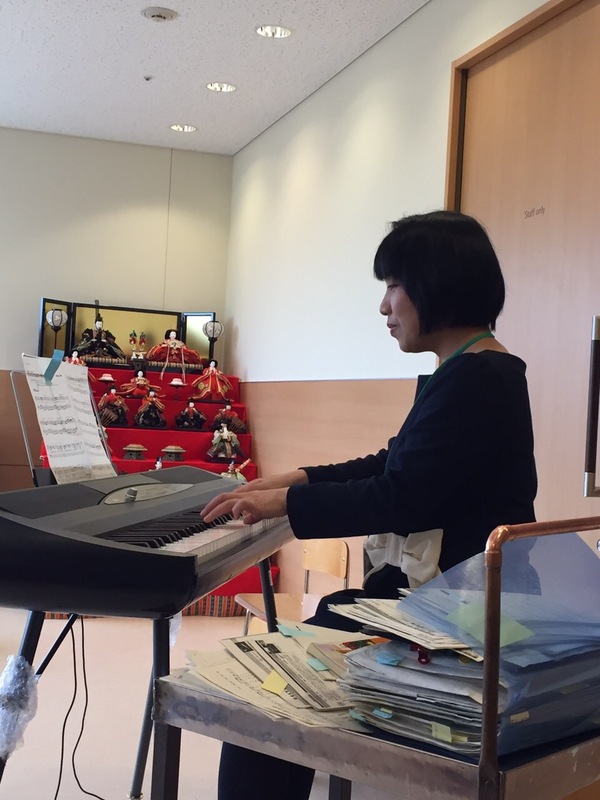 In the infant home, 20~30 children enjoyed mari-san’s piano and vocal. They all sang to her play and sometimes walked and marched to the music around in the playroom. 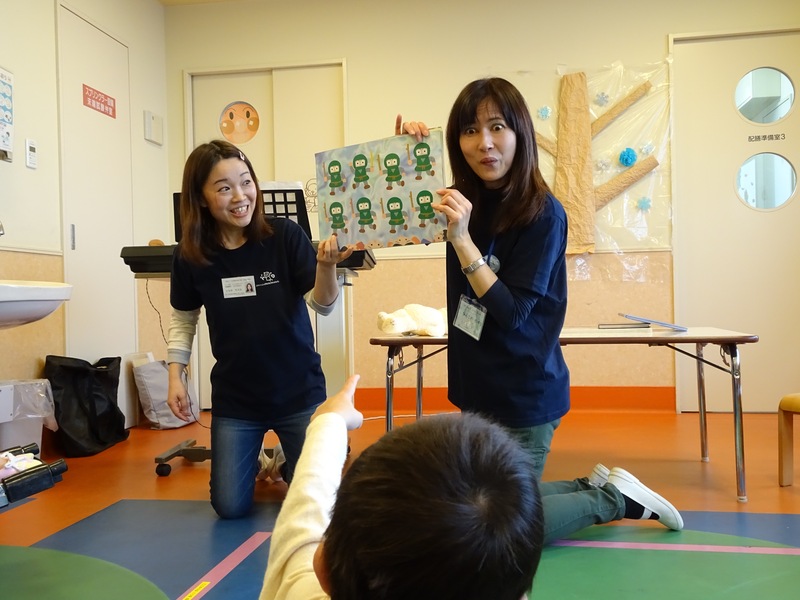 In the end, all the children gave high five to Mari-san. Not only stories but singing songs, quiz, play shows..readers theatre by voice actresses is something great giving presence. We can see by their faces how exciting the show was. The artists are to enjoy themselves first, then audience will join and enjoy themselves too! 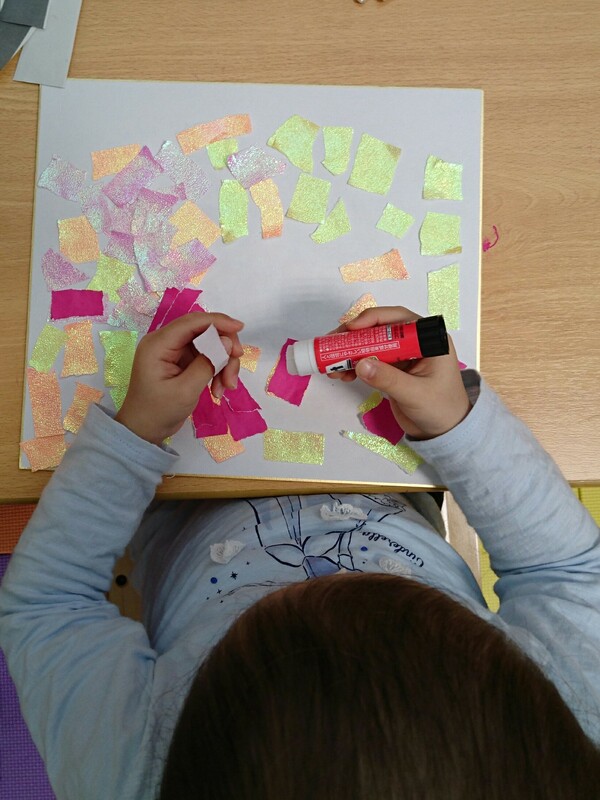 Everyone enjoyed making original printing design by striking a prink punch with a wooden hammer. 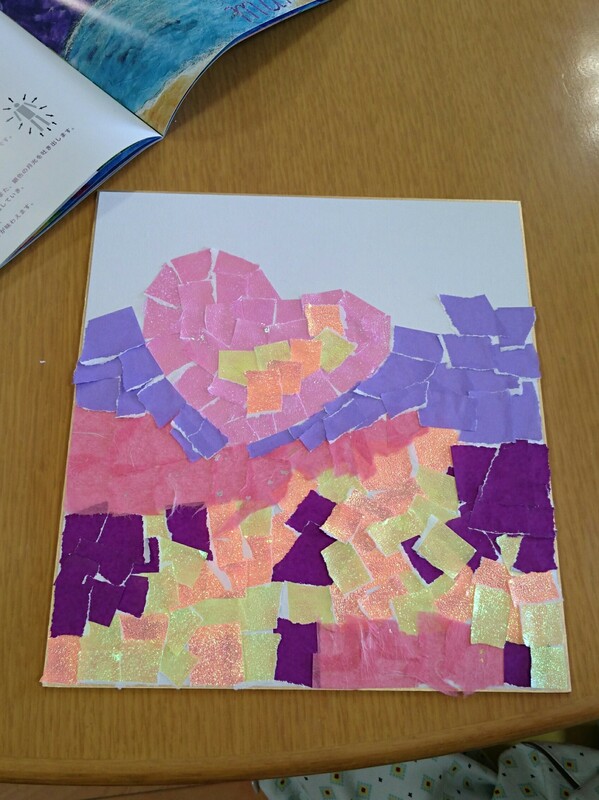 “Beating something” is unusual in a ward so it became a kind of change and refreshing. 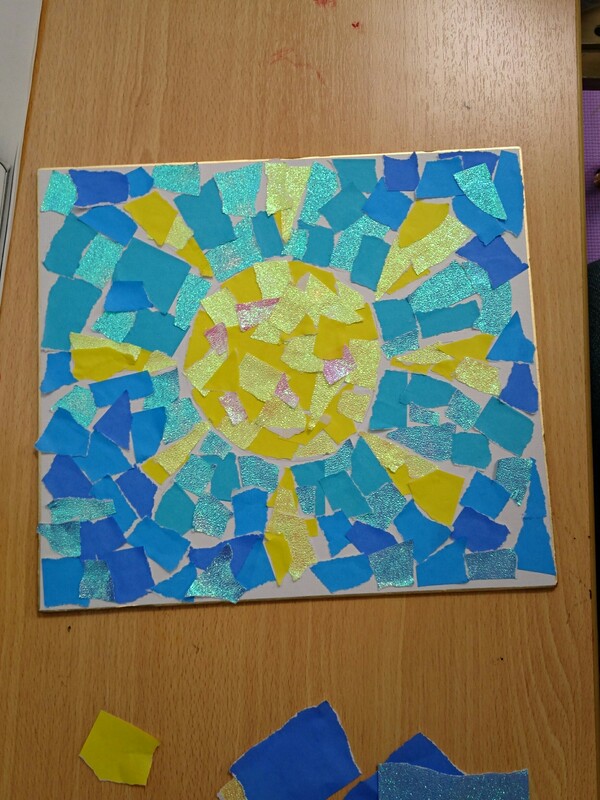 Finally such beautiful art of works were done!